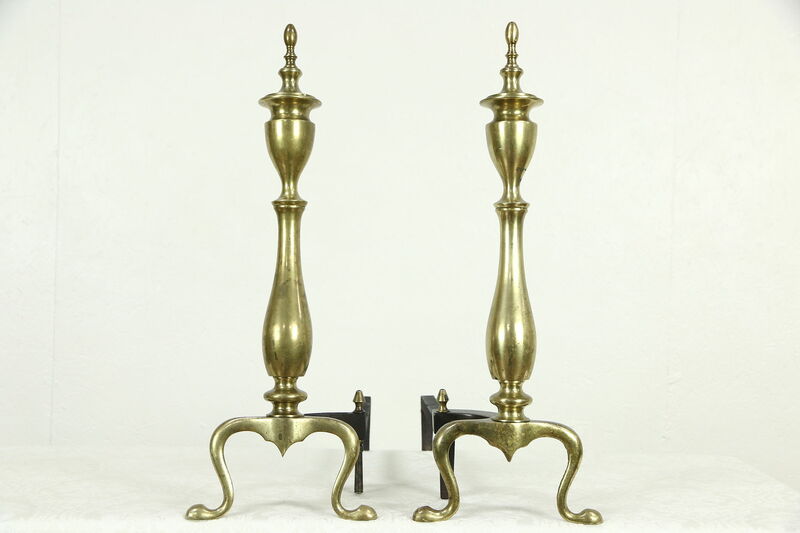 A pair of traditional fireplace andirons are solid brass with cast iron log holders. The finish has charming patina on these classic fireplace accessories from about 60 years ago. Size is 8" wide, 18" deep and 22" tall. Please view 11 photos at full screen size for best detail. Related items in photos are sold separately. Standard Shipping is $35 in the US.